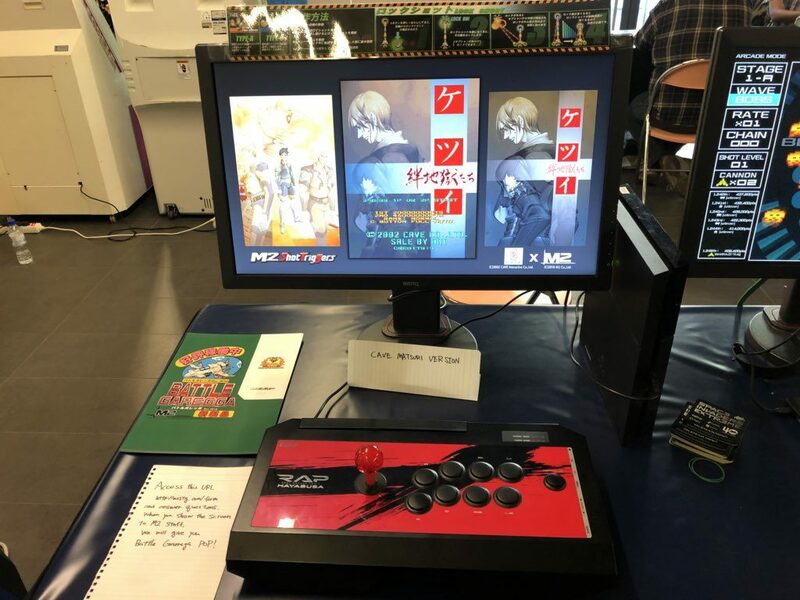 Experts in high-quality ports, M2 honored this year’s Stunfest with their presence, bringing with them a playable version of their soon-to-be released port of Ketsui for Playstation 4. 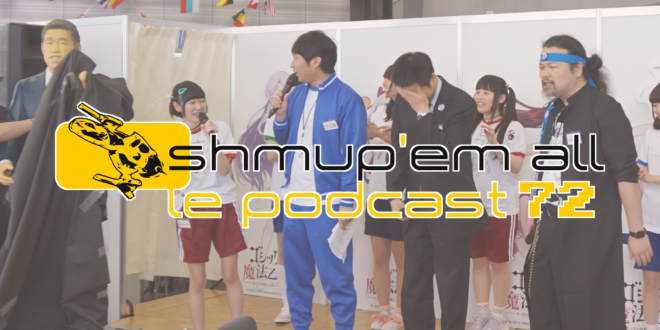 During his first visit to France, Shmup’Em-All had the opportunity to interview M2’s CEO, Naoki Horii and learn a bit more about the M2 Shoot Triggers collection, their next exclusive shoot’em up Mononoke Ninpo-chou, and a lot more! 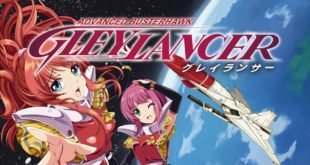 Une version française est disponible sur Shmup’Em-All. – Horii-san, hello, could you please introduce M2? Naoki Horii: Hello, yes, of course. M2 is a company I founded in 1991 when I was twenty. Among other video games, I made Gauntlet for the MegaDrive and the port of Gunstar Heroes for the GameGear. gekko: If I’m not mistaken, Gauntlet for the MegaDrive is based on a X86000 port? Naoki Horii: That’s right, it’s a port from X86000 to the MegaDrive! Gauntlet on the SEGA MegaDrive, known as Gauntlet 4 in America and Europe, is M2’s first game. – How did you join the video game industry? Naoki Horii: I’m going to get into trouble for saying this, but it was a way for me to stay in the world of video games without getting scolded by my relatives: working in the video game industry, nobody could say anything, because it was my job. – You are known for your ports that are very faithful to the original games. How did you accomplish this result? Naoki Horii: From the start, we have always worked on our ports until we ourselves could not see the difference from the original version. We strive to be in an environment where our customers, who ask for a port, cannot find a flaw that needs to be fixed. Since we are known for the quality of our ports, if we don’t reach that level of perfection where we ourselves cannot see the difference with the original, then there will be negative feedback from our customers. Yosuke Okunari (editor’s note: a creative producer at SEGA who supervised M2 on the SEGA AGES 2500 and SEGA 3D Classics ports, and also now the SEGA AGES collection on Nintendo Switch) already told us that we are completely mental for spending that much time reaching such a high level of accuracy, but hey, that’s our trademark! – In 2016, you made a lot of noise with the Shot Triggers collection, and the subsequent port of Battle Garegga. How was this new collection of ports created? 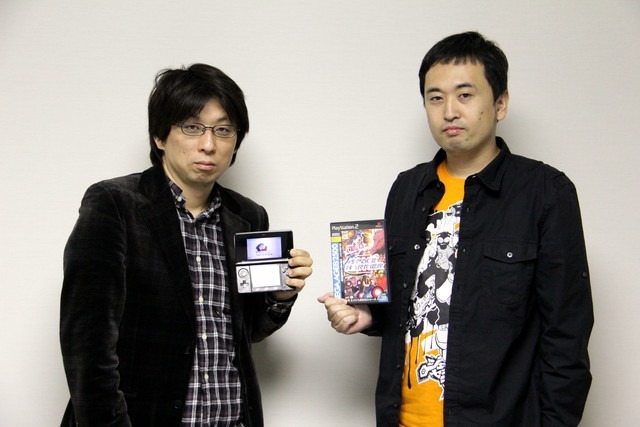 Naoki Horii: First, we like shoot’em ups. And since 8ing doesn’t sell games anymore, we knew that if we didn’t make a move to port Battle Garegga, nobody would. So we got to work! Since we didn’t have any customer on this collection, we chose the games we were going to port. Initially, we thought that choosing ourselves would help speed up progress. Until now, choosing ourselves hasn’t been the case. gekko: In an interview on the GAME Watch website during the Battle Garegga Rev.2016 release, I seem to recall that a port of Battle Garegga had been considered for the Wii’s Virtual Console Arcade. Is that really true? Naoki Horii: Yes! We thought we could do the port with help from SEGA, but ultimately it was much faster to do it all by ourselves, so we dropped that project. – How do you manage to convince developers to make ports of their games on modern systems? Sometimes, when we go for a drink between STG fans and players, we had cases of someone saying, « Hey, that guy over there, isn’t he from that big company which makes this or that game? » In those cases, we go talk to the guy directly. 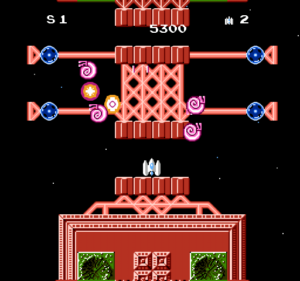 With the Shot Triggers collection, M2 has mostly ported CAVE and 8ing games. – Are you free to choose the additions and new features you can bring to a game, or do you have to follow directions given by the right-holders? Naoki Horii: It really depends on the companies. Until now, we have been quite free to choose. – What made you want to make SuperEasy modes? Naoki Horii: Shoot’em ups are really hard for people who are not used to them. So we have made these SuperEasy modes, for Battle Garegga for example, so that the average player who watches a replay made by a great player can himself go through about half of the game without it being too problematic or frustrating. Thus, if they try to copy what they see in superplays, even if it doesn’t give the same result, it will at least do something and enable them to progress. – How many of you work on a port, on average? Naoki Horii: (counts on his fingers while thinking) About seven or eight. gekko: Programmers and composers included? – With the Shot Triggers collection, since 2016, you regularly do location tests. What kind of feedback do you get from the community, and do these tests have an impact on the ports themselves? Naoki Horii: Indeed, it gives us a lot of information, either verbally or just by watching people play. There are many people who come to these tests. Most of the time, when there are slight imperfections that linger, which we think won’t be noticed, there’s always someone who ends up seeing them. Therefore, it has a strong positive effect on our ports and it enables us to make them even better. – Are Raizing and CAVE the only developers you will collaborate with? Could we see, in the future, ports of Toaplan, Takumi or Alfa System games? Naoki Horii: We hope we will someday be able to port games from other developers, but it takes a lot of time to get in touch with all the companies who own the licenses that players are asking for. 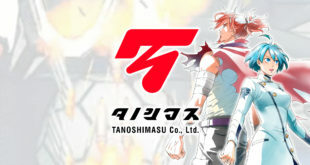 It would be great if you could do a small poll on Shmup’Em-All to ask people what they would like to play. 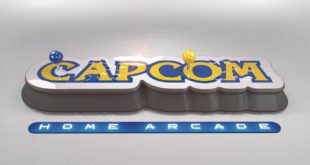 Of course, we can’t promise anything, but it would help us see what kind of games would be appreciated in France, for a community that hasn’t really known arcades after R-Type. When we did this poll in Japan, there were a lot of voices for Batrider, ESP Ra. De. and Progear no Arashi. gekko: I know there are many people who hope for Batrider, and I myself can’t wait for a port of this game. Naoki Horii: I love Batrider too, especially the music, and would like to do something for this game. 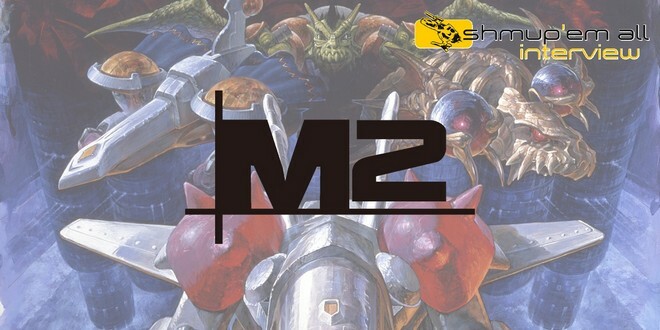 – M2 Shot Triggers is a collection of games you publish yourselves. How much of a challenge does that mean? Naoki Horii: It is a balance between development costs and sales. When a game doesn’t sell well, it’s always a problem to know if we will be able to make the next. 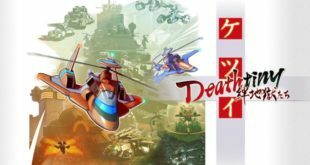 – With Ketsui having a physical release, will this be the case with your next ports? What are the difficulties of making physical releases? Naoki Horii: If we manage to find interesting content, we’d like to do it. It is indeed quite a recurrent request. However, isn’t it quite complicated, in this modern world, to have a physical copy to play, really? Everyone is used to playing on smartphones, where games are already installed, while we aren’t even used to popping in CDs anymore. gekko: That’s very true, but many people, at least in France, find it troublesome to create an account on the Japanese PlayStation Network and buy a pre-paid 5000 yens card in order to buy the game on the Japanese PlayStation Store. In France at least, it is easier to buy a physical copy. And we are very attached to physical media in general. Naoki Horii: We are currently trying to get the PEGI certification in order to officially release games in a westernized version for Europe. It will be much simpler this way if we manage to get it, even though it will probably only be localized in English if it becomes a reality. – The Shot Triggers ports offer several versions of the same original soundtrack. What is the process behind this? I’m thinking about the 2016 Remix Version of Battle Garegga, which gathered several artists. Naoki Horii: About Battle Garegga, we only took the original version along with the rearranged version by Manabu Namiki himself. gekko: The Rev.2016 Perfect Edition, if am I right? Naoki Horii: Exactly! 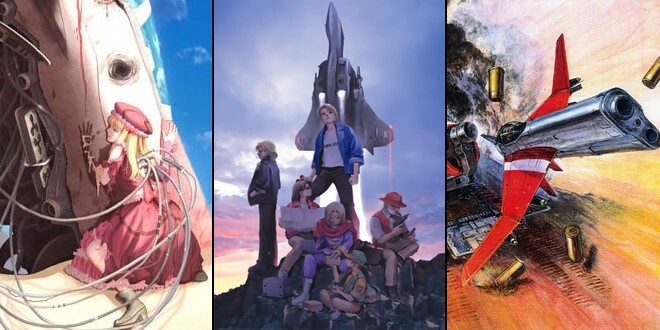 As for the other OST, we have been allowed to use them as is, like the already existing rearrangements for the SEGA Saturn version, or the OST composed specially for the 20 years of Battle Garegga. About the latter, it was even SweepRecord (editor’s note: publisher of the Battle Garegga Complete Soundtrack) who told us we could include it in the game if we wanted, in order to make a truly complete edition of Battle Garegga. Battle Garegga Rev.2016 includes four versions of the original soundtrack. – The Shot Triggers games are available on PS4 and Xbox One. Is availability on Steam and Nintendo Switch possible in a near future? Naoki Horii: For the Nintendo Switch, it would be awesome since it is a great platform for our Shot Triggers ports. But given the hardware specs, it will be a bit harder to port. Anyway, it’s something we would like to do, but that will require quite a lot of work. About Steam, there are compatibility issues between Windows 7 and Windows 10. The technologies we are using currently do not allow us to easily make a port compatible with both of these systems. To be more precise, we mostly have an issue with input lag that we were able to fix with a trick on Windows 7 so that it plays really well. But on Windows 10, this trick does not work, and it is not pleasant to play at all with at least three frames of input lag. – To conclude this interview, I would like to focus on Mononoke Ninpo-chou, also known as Ninja Soldier, whose announcement was very surprising and unexpected. Could you go back on the creation of the game, because 30-year-old drafts unearthed in the archives of a company that was founded in 1991 does not seem quite possible! Naoki Horii: Ah yes! In fact, there was initially a member of our team who started working on the game on his own. And then it started to progressively involve more and more people over time, and the project was starting to look promising. So, we had this idea to first announce this project as an April Fools’ joke, with these false documents to back it up. However, I can confirm that it’s an actual project under development! Besides, the announcement officially stating that development was in progress was done during an interview with Famitsu last May. 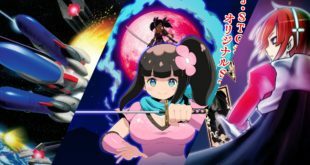 Despite being announced on April 1st, Ninja Soldier is not a joke! – Does Ninja Soldier draw inspirations from Star Soldier, regarding either the game system or the core concept? 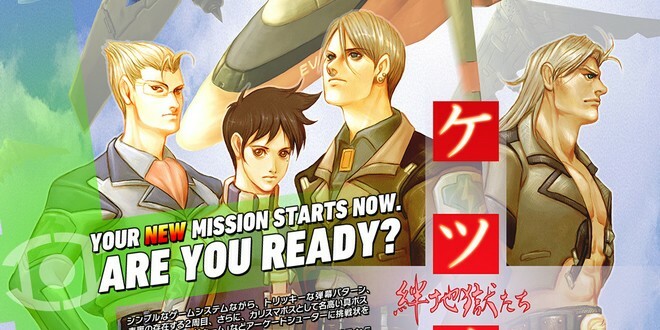 Naoki Horii: I was not there at the birth of this project, so I’m not sure how it all started, but what is certain is that it’s inspired by Star Soldier and created by people who love Star Soldier. In fact, it’s like fans of Star Soldier trying to make a game that could improve on it, without being a clone. So, there is an inspiration, but also a desire to go further and do better. gekko: About the game structure, will it be some kind of caravan shooter with score attack, or something like that? Naoki Horii: There will probably be a caravan mode. 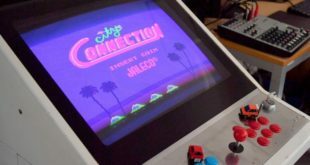 However, we want to see, through location tests, how people would react to inserting a coin to play a three-minute score attack game, especially given that it brings back to what existed long ago. It is quite different from what exists now. Star Soldier on the Famicom, Ninja Soldier’s main inspiration. – Ninja Soldier will be an original game. Are there other original shoot’em-ups to come, especially on home systems? Naoki Horii: Hiroshi Iuchi (editor’s note: creator of Radiant Silvergun and Ikaruga, currently working at M2) is currently making one! – To conclude, ideally, which shoot’em-up would you like to port and why? 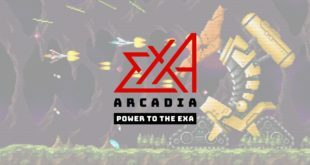 Naoki Horii: Rather than a specific title, I’d like to make one collection for each era, starting with Space Invaders, the Xevious era, and then the CAVE period. 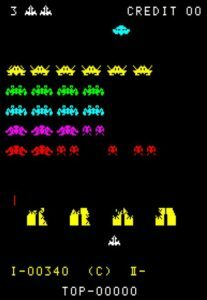 Personally, I’d like to make a Space Invaders collection, with all of its clones and the games it directly inspired. 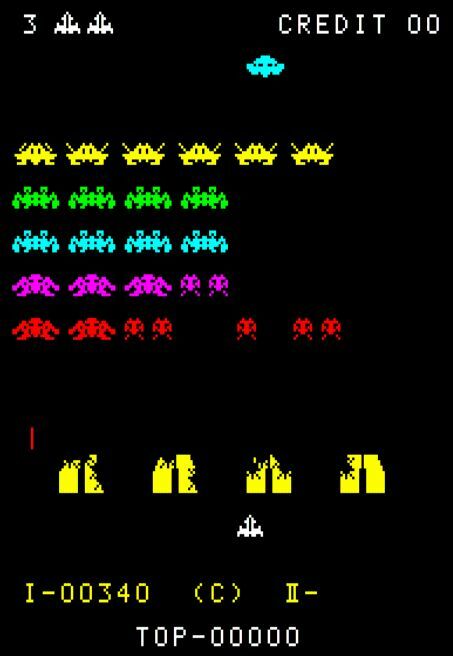 It won’t be easy to get Taito to agree on this kind of project, but that’s something I’d like to do, a « Space Invaders and its clones » game. Naoki Horii: Yes. You have to know that in Japan, when Space Invaders came out, all the companies (except Namco) plagiarized each other without any remorse. So I’d like to keep a remainder of this period. 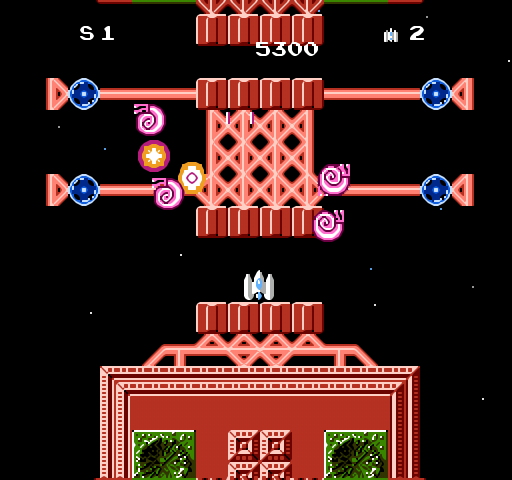 Space Fever Color, developed by Nintendo, one of the many Space Invaders clones. gekko: This concludes our interview. Thank you very much Naoki Horii-san for giving us a bit of your time. It was a real honor. Naoki Horii: Thank you! You have given me the opportunity to publish somewhere what I think about Space Invaders, I’m glad I can express this opinion somewhere. Thank you for this exchange and for the opportunity! Many thanks to Erhune who accepted to act as our Japanese translator. 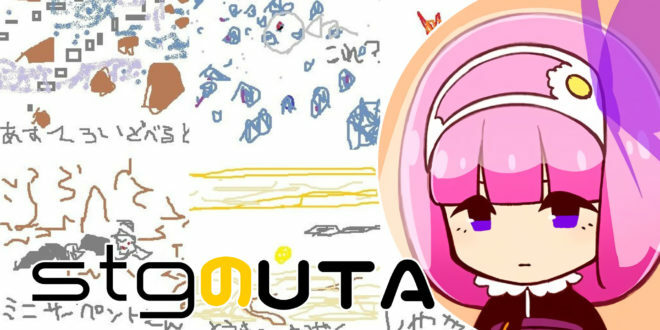 Suivant Une campagne Ulule pour une chronique dédiée au shmup verticaux !